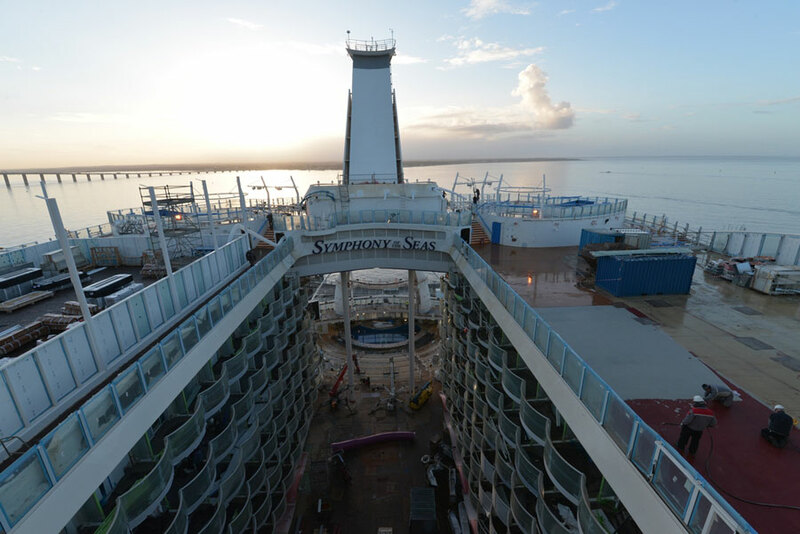 New Symphony of the Seas photos released by Royal Caribbean as the ship is in the final stages of construction at the STX France shipyard. Royal Caribbean has released new Symphony of the Seas photos while under construction at the STX France shipyard. 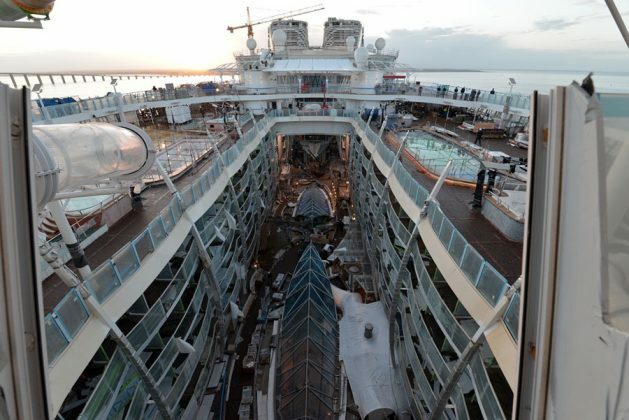 These are the first new photos of 2018 and it’s nice to see how well the cruise ship is coming along. From the outside the fourth Oasis-class cruise ship is complete and most of the work is now being done on the inside. 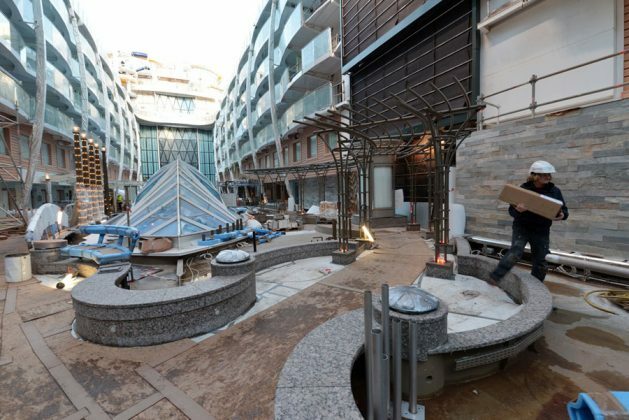 All the interior spaces are in the final stages as there is not long to go until Symphony of the Seas debuts in Europe. 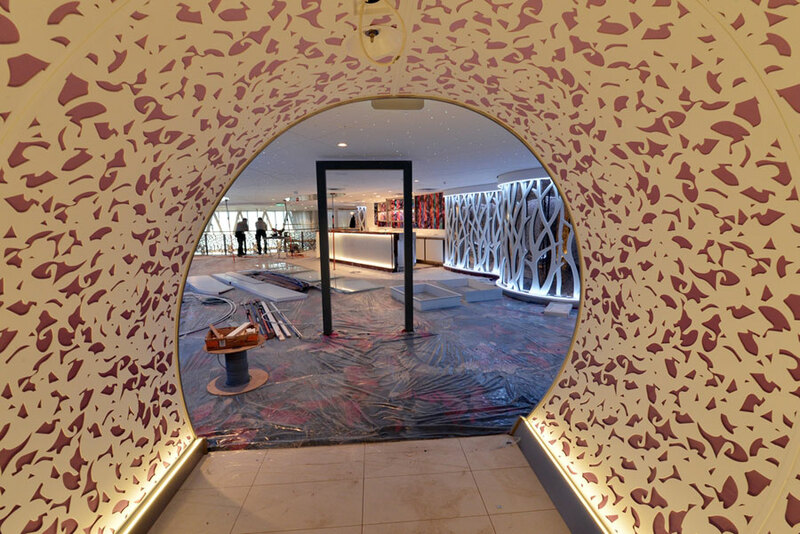 You can compare the previous batch of photos released from Royal Caribbean here. It won’t be long until Symphony of the Seas arrived earlier than expected in March 2018. 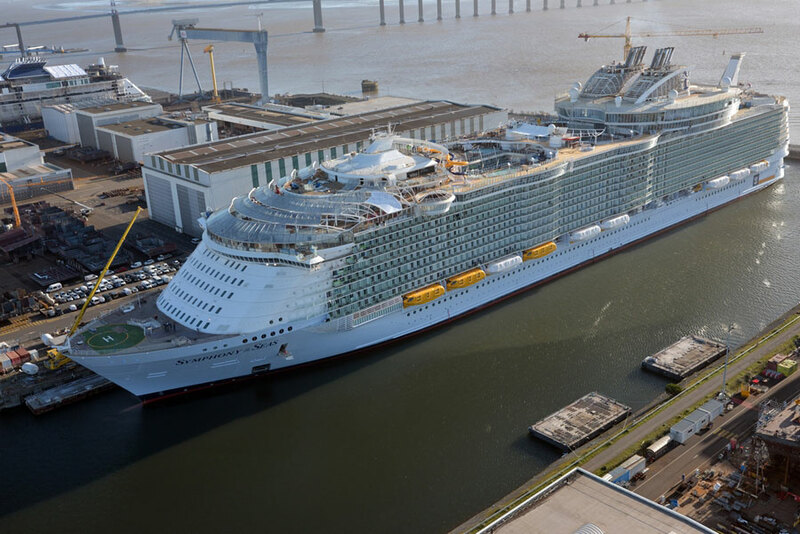 That’s less than 3 months and one it does enter service Symphony of the Seas will become the new world’s largest cruise ship, taking the crown from sister ship Harmony of the Seas. 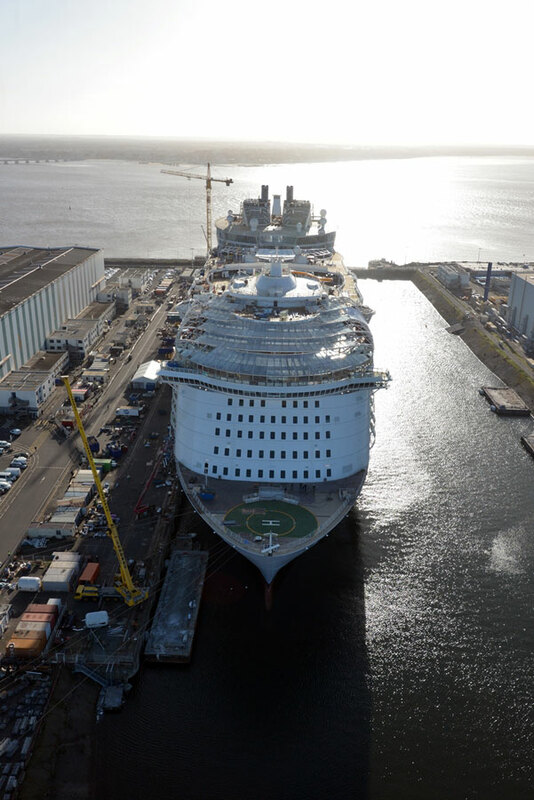 The final touches are being done board the upcoming Royal Caribbean vessel at the STX France shipyard and as you can see from the photos work is just about complete. Book Symphony of the Seas Cruises. When is Symphony of the Seas Entering Service? The new Royal Caribbean cruise ship will sail its maiden voyage from Barcelona, Spain on March 31 for a 5-night preview sailing. On this sailing don’t expect the ship to be in perfect condition as it’s still early than the original April 21 maiden voyage. It will be kind of a shakedown cruise where work could still be happening onboard. The world’s largest cruise ship will spend the inaugural season sailing the Meditteranean and will then depart Barcelona on October 28, 2018, for a 12-night transatlantic cruise which will end in PortMiami, Florida on November 9. The Royal Caribbean cruise ship will begin a new service sailing 7-night Eastern Caribbean cruises. Symphony of the Seas will be 230,000 gross tons and have a guest capacity of over 5,500 at double occupancy. 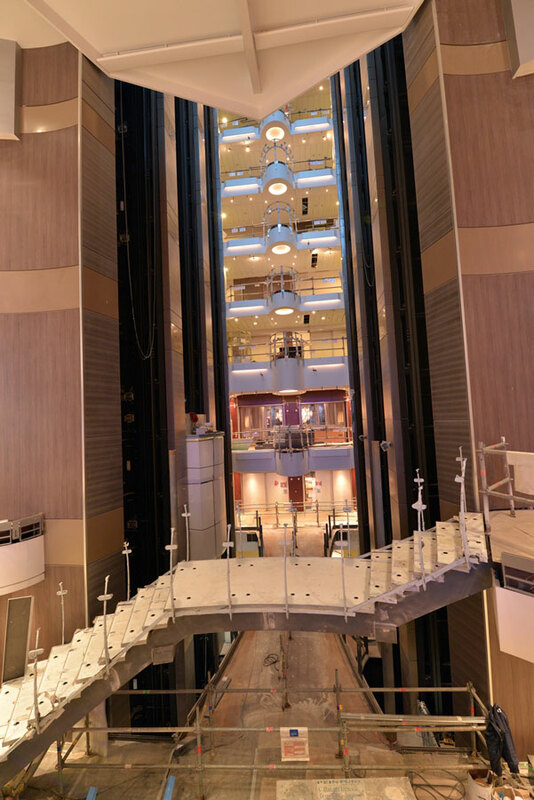 Sister ships include Oasis of the Seas, Allure of the Seas and Harmony of the Seas but Symphony of the Seas will even include new enhancements and is slightly larger.